Listen to the full interview with Cathy Cress in the Help Choose Home podcast series to learn more. Cathy Cress, MSW, shares suggestions for how to go about assessing senior care options and helping aging parents make decisions on the Help Choose Home podcast, which can be accessed on iTunes, Google or other listening devices. In The Wizard of Oz, Dorothy says, “There’s no place like home,” a sentiment that many of us can agree upon. Home is a place that becomes uniquely yours based upon how you choose to decorate, what belongings are kept and why, and how furniture is arranged. Home also ties much of your life together. It is a place filled with memories of family and friends, some decades in the making. Home is also a place that is deeply familiar, almost like a long-time friend. You probably know where there are squeaks in the floor, how to open that stubborn door, and can navigate the rooms without much thought. For older adults who have lived a lifetime in their home, moving can be like going to Mars, according to Cathy Cress, MSW, an author and leading expert in aging life and geriatric care. Suddenly, the older adult must learn to navigate a new environment and free will – how to decorate, when to run errands, and what belongings to keep – seems all but eliminated. According to Cress, as a society, we don’t do a good job preparing for our parents to age. Having a conversation with parents about their wishes for care is important. Care is not one-size-fits-all, and what may work for one individual/family, may not work for another. Having open lines of communication is an important first step in honoring a wish to age at home. Consult with a physician. If there is a health condition that can be managed successfully at home, learn how a caregiver or home health nurse can provide the necessary care. If there are physical limitations or some degree of memory impairment, a physician can make the necessary recommendations for appropriate in-home care services. Meet with a geriatric care manager. 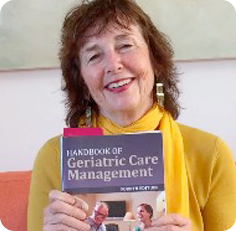 Geriatric care managers are professionals who can help provide an objective assessment about the physical, mental, and health issues facing your loved one. The geriatric care manager will help devise an effective plan for care and can even help families come to a consensus when there are differences of opinion about appropriate care. Cress recommends Aging Life Care Association for assistance in locating a geriatric care manager in your area. In addition to physical or health conditions that may trigger the need for in-home care services, often times isolation or loneliness can be triggers. Having in-home care can help older adults remain active, enabling them to continue to be engaged in hobbies, attend religious services and social activities, or even visit a favorite restaurant. Both Cress’ father and mother-in-law lived with her and she saw firsthand the important role of the caregivers who assisted her loved ones. The caregivers became a part of the family, attending birthday celebrations and even funerals. According to Cress, the caregivers were her stability and a true blessing. In fact, 30 years later, she continues to be in regular contact with one of the caregivers. The Help Choose Home podcast series provides information and resources to help those with a care need learn more about healthcare at home. Podcasts are hosted by Merrily Orsini, president and CEO of corecubed, a marketing for home care firm dedicated exclusively to helping aging care providers grow their business.